Skype is one of the most sought after apps for the new BB10 operating system and we now have an official date for when it will arrive. Skype will be bundled into the new firmware debuting on the Blackberry Q10 on May 1st, when it launches in Canada! Skype for BlackBerry 10 is now available in BlackBerry World, but only for the BlackBerry Q10 and Dev Alpha C. The Z10 will get it in the next few weeks when the new firmware is released. The Playbook will likely never see a native Skype application, but the new models with BB10, out this summer, will have it as a launch title. 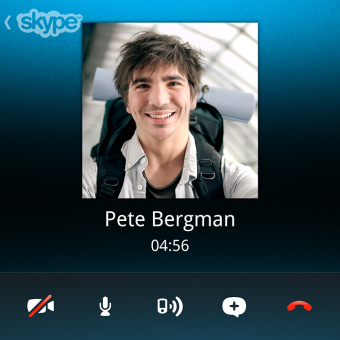 Skype on the Blackberry 10 operating system has been something of a holy grail for most avid users. There are still many notable big name apps that are lacking in the latest offering from Blackberry, most notably Instagram and Netflix. For now, you can get the Android versions of these apps on the Good e-Reader App Store.